Now picture the triangle upside down, with the point at the bottom, where the Founder(s), CEO and Executive Team reside. On the hypotenuse are the worker bees up on top, operating their piece of the pie, being ‘fed’ upwards by this Team – with reverence for every on of them: They built this nest and are feeding their fledglings. Not the other way around. The Service Leadership and trainers at the bottom value their ‘fields’ input, their strength in numbers, reaching out one person at a time by personal invitation, creating a chain of human electromagnetic effervescence with unprecedented power for buying in the world’s largest industry and market: TRAVEL. It encompasses resorts, airlines, secret hideaways by the 10s of thousands, cruise lines and an online shopping mall. Members earn commission from them ALL. On Travelocity and Expedia, Bill Gates makes the commission. In this company the ‘field’ makes PROSPERS. It all adds up to deeply discounted or even FREE TRAVEL world-wide! The founders created a new system to funnel the money back to the workers (the field) instead of to the vendor corporations. There is no greed. Everyone WINS! As time passes, those in the field that work this system evidence financial Free-dom to have more, be more, do more in the world. WHEN WE HAVE MORE we can give more to others less fortunate. AS WITHIN SO WITHOUT. The worker bees at the top are motivated. Time only sharpens their skills and excitement. It only gets better! It always gets better – All Ways! They jump ALL IN and go ALL OUT. Read about this phenomenon. Then she states that in Cairo alone, where she landed to start a ministry, there are 25 million people, 60% are between the ages of 18 and 34. In this 21st century that age group is called The Millennials. They are the largest segment of humans traveling earth and traveling now. Next is the Boomers. Imagine a world, where 15,000,000 (that’s 15 million – just in ONE city alone!) young people get to travel the world, meet others face to face in an exchange of service, action, compassion and leadership… imagine 3600 of PEACE. Isolated we fall prey to false ideologies, beliefs, limitations, lies. Blended we learn that we are all the same, ONE, want the same things: We love our brothers, love our sisters, our aunts, uncles, parents, grandparents, lovers, partners, pets… We are ALL lovers of something good: GOOD as defined by eternal Truth, capital ‘T’: The Good aspects of a higher power before religion diminished the IT of Source Energy to mass control. Baby boomers remember when a long distance phone call meant calling the operator, arranging a time for the call, and getting charged an arm and a leg for the process of communicating with someone out of town. “Quiet!! I’m on LONG DISTANCE!”. Remember that?! The calls were kept under three minutes because after that the price sky-rocketed. Call over seas? Forget about it! The times they are a changing. Boomers are the second largest segment of humans traversing this planet on vacation trips. Millennials are aware, in the United States, anyway, that there will be no Social Security, no Pensions, no Medicare, no Retirement funds what so ever… No permanent jobs… they will have 4-14 jobs in a lifetime. They are jumping ALL IN to opportunities to capture their financial independence in 4 years instead of the proverbial 40 years. There is actually a group call The Rat Pack: Rich at Twenty – Retired At Thirty. They are grabbing the gold ring and never letting go until they are established with residual income to last their lifetime. They know that to make hay while the sun shines NOW will provide a life of Fun, Freedom and Fulfillment as they become the same age as baby boomers are now, the difference being, by the time they get there, they will have ‘made a living LIVING!’ Doing what they want, when they want, how they want, with whom ever they want. Imagine how different your life would be if you had THAT opportunity! Well, it’s staring YOU IN THE FACE RIGHT NOW! H E L L O ! ! It’s Here Now. It’s NOT easy. Focus on the reason, do it for a Season and NEVER QUIT NO MATTER WHAT! What is your decision about coming ALL IN and going ALL OUT? Are you willing to go a season with it now, pay the price now, do the work now, and sit back on your laurels later and enjoy the fruits of your labor and the others you helped along the way. Cause in this system, everyone that hangs in there, through thick and thin, ups and downs… WINS. The ‘worker bees’ and the children in countries like Guatemala, where the literacy rate has soared because of the volunteers on Voluntours are building bottle schools. Millennialls and Boomers are the largest demographic ‘Tripping’. There is a V.I.P. Invitation only travel club that provides that opportunity for those wise in their youth (some actually begin as seniors in high school and are retired by 22, some are senior citizens who have retired and can still live their dreams starting out with nothing and building a legacy of generational wealth to pass on to their families) who are wise in their ‘senior-ity’, who get the whole big picture, which is this: Service Leadership, booking vacations where they contribute their labor, love and liveliness to building bottle schools – 70 so far… like Africa where they provide clean water, cutting edge filtration systems and wells for children in orphanages… like partnerships with Boy and Girl Clubs of America refurbishing their meeting places… building NBA basketball courts in large inner-cities across America. The 18-34 year olds aren’t spending their first 20 years living in denial just to dig it up ‘later’. ‘Later’ does not compute. They are living in the moment. The moment is where PASSION BREEDS. They are living their passion NOW and the rest of us are catching their effervescence! This is about using the Travel Industry as a vehicle. Every member that takes a conventional trip or a volunteer trip creates a thread of cultural connection globally. It is a new ‘net’ uniting humanity at large, for good. Statistically the fastest growing travel company in the world, going on 6 years of consecutive months of growth, with over 1,000,000+ members globally (50-80,000 memberships a month last year and 100,000+ a month this year = exponential growth)… using portions of monthly memberships to buy materials to build those bottle schools, water filtration systems, wells, basket ball courts, work with Girls and Boy Cubs (2,500,000 children), altering lives, and raising our human global connections through L O V E, A C T I O N and WISDOM. Travel for FREE? WHAT!? Could be… which reminds me…. ‘who would think we wouldn’t keep PAYING FOR LONG DISTANCE? !’ Well, do you pay for it now? Of course not. Because someone somewhere thought of a new fangled concept of talking on a phone without wires, without plugging it in, without a rotary dial… now we have an integral, service leadership corporation serving the field globally with a vision of creating FREE TRAVEL for everyone, everywhere. Many members are traveling for free, are retired in their 20’s, 30’s, 40’s after 2-4 years… This is no longer just about ME anymore folks: This vision includes Humanity At Large traveling for free, which to me, eliminates borders between countries, eliminates separation, bonding us as a unique ONE. Are you open to a new idea, a new system that overhauled and redesigned how it is done? 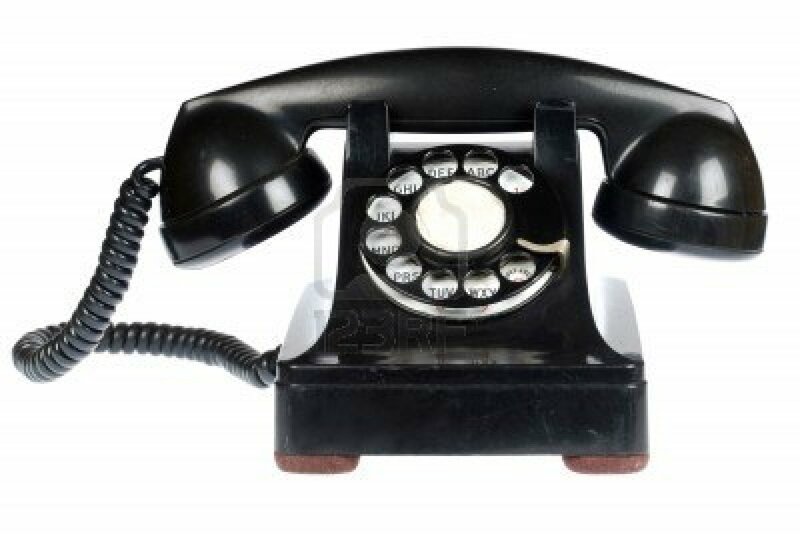 Do you still use the phone pictured above? Of course NOT! What if I told you this company is the NEXT FACEBOOK of the TRAVEL industry that PAYS YOU REWARD CREDITS FOR POSTING PICTURES, REVIEWS, FRIENDS, MESSAGES? … would you be open minded then? What would your life be like now if Zuckerberg offered you a piece of his pie when he launched Facebook and you said, “YES! I’M ALL IN!”? If Steve Jobs came to you and asked, “I’m taking Apple public, do you want in?” What would you tell him? How many of us cultivate our passion by taking risks? How many muster up the courage to even step onto the playing field? How many jump ALL IN? What is your most recent ACT OF COURAGE that kick-started your passion into PLAY – ALL OUT? 200 times a day every day we choose: Growth or Fear? 20 seconds of courage activates the passion, the vision, the stick-to-it-ness. As we rearrange the pieces of ourselves, the world heals with us, when we take action by using our wisdom – ‘ACTIONABLE WISDOM’, Passion marries Courage and Risk so we can spread it around Creating the colors of Joy! We all want to be Free. We all want to be happy. We all want True Prosperity. When enough of us come together in decisive commitment, are bold enough, are open enough, are shifting, are deciding to make that choice for good… then we the people, humanity at large will be better, will be lifted up, UNITED in PEACE, LOVE AND UNDERSTANDING. It’s time to start dreaming and TRIPping into the light fantastic, creating a U n I-ted planet! ACTIONABLE WISDOM – ALL IN… ALL OUT.